Philip Bennett is the Eugene C. Patterson Professor of the Practice of Journalism and Public Policy. Bennett was the managing editor of The Washington Post between 2005-2009, and has been an editor of international and national security coverage, a local news reporter and a foreign correspondent. He was the foreign editor of The Post for six years in which the paper's international staff won many awards, including two Pulitzer prizes. As The Post’s managing editor, the paper’s second-ranking editor, Bennett helped supervise 800 journalists. The Post won ten Pulitzer Prizes during his tenure. Between 2011-13, while on the Duke faculty, he was the managing editor of FRONTLINE, the public affairs television series broadcast on PBS. Bennett’s journalism career started in 1982 at The Lima Times in Peru, where he became the paper’s editor. He was hired as a metropolitan reporter by The Boston Globe in 1984 and was named the newspaper’s Latin American correspondent, based in Mexico City. He covered wars in Nicaragua, El Salvador and Guatemala, the U.S. invasion of Panama, and wrote about Mexico, Cuba and Brazil. Bennett was later the Globe’s foreign editor. Bennett has worked on new media projects for The Washington Post Co. and has lectured on the future of journalism. He joined the Duke University faculty in 2009. He is director of the Rutherfurd Living History Program. He teaches about journalism and national security secrecy, the news media and Islam, narrative journalism and coverage of war. 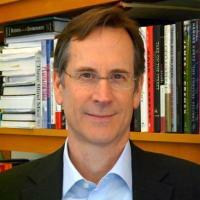 Philip Bennett is the Eugene C. Patterson Professor of the Practice of Journalism and Public Policy at Duke University and director of the DeWitt Wallace Center for Media and Democracy. Bennett has worked on new media projects for The Washington Post Co. and has lectured on the future of journalism. He joined the Duke University faculty in 2009. He teaches about journalism and national security secrecy, the news media and Islam, narrative journalism and coverage of the economic crisis.